Cloud based storage seems to be all the rage these days, with more and more companies like Apple and Google introducing new services like iCloud and Google drive. For home users though that want the option of the cloud without the limitation of a service there are several other options. Today we are testing out the new Akitio Cloud Hybrid. This is a network attached storage drive (NAS), which connects directly to your home network allowing you to use your current internet connection to build your own personal cloud server. The Akitio Cloud Hybrid Combo is a stand alone device with it's own 300MHz CPU and 32MB DDR 400MHz. This allows for built in functionality to give users the ability to manage and view their files right in the web browser of any PC or laptop or thanks to a mobile app via devices such as the iPhone or iPad. User simply login through the Akitio web portal at www.myakitio.com or the mobile app and you'll have immediate access to your files, no matter where you are. For the home user there is a USB 3.0 direct attached storage device (DAS) for super-speed file transfers and built-in UPnP-AV media server to stream media to some of your favorite gaming consoles and other networked devices. Stream content within your local network to any available UPnP-AV and DLNA compatible devices. Data can also be uploaded to the network drive and shared from multiple workstations via SMB, WebDAV or FTP connection just like on any traditional NAS system. 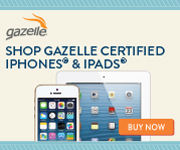 The first step in setting up your device is removing the case and installing the hard drive. This step couldn't be simpler! There are three screws on the bottom of the case that need to be removed. Then you can slide the case open and drop in the hard drive. The drive literally slides right into place and is mounted with the 4 supplied mounting screws. From here you begin your initial setup. When you first setup the drive you need to format it from a direct network connection. Akitio says this is because formatting it from a USB connection won't allow the drive to be seen once it is connected to the network and running in NAS mode. To do this connect the enclosure to one of the ports on your router, power it on and let it initialize. You'll need to copy down the MAC address on the back of the enclosure as you'll need that to log in through the Akitio web portal at www.myakitio.com. Once on the web portal you'll be prompted to enter your MAC address and the default username and passwords which are both admin. Now you just navigate to the settings page, hit the maintain link and click format. It should only take a few seconds for a blank drive to ready to go. Once the drive is formatted you can either keep your device connected to the network, or you can now use it as a USB device. You'll just need to remove the connection and restart your system. Only one interface at the time can be used (either LAN or USB connection). If I have any complaints about the Akitio Cloud Hybrid so far it's not with the enclosure itself but rather the interface on the web portal. The layout seems generic and lacks a certain user friendliness. Navigation seems simple enough it just lacks a polished refined look. When formatting the drive I noticed by default a "guest folder" was created out of almost the entire drive. At first I didn't see an option to create a second partition or any secondary folders, it wasn't until later that I found the settings for that. I also noticed the included manual doesn't specifically tell you that the username and password are automatically generated. The online E-manual tells you that the username is guest and the password is blank. I just happened to take a stab in the dark to find that out the hard way! There are a few different ways to add files to your Akitio Cloud Hybrid. You can either use it as a USB drive and upload them directly, map it as a network drive from within Windows (or MAC OSX) and add them across the network, use FTP and an FTP client or you can upload them across the internet through the Akitio web portal. For the best and possibly fastest results using it as a USB drive or transferring the files across your network and using it as a NAS are best. Which is fastest is going to depend a lot on your available connections. My choices were either a wired 1 Gigabit network connection or USB 2.0. Surprisingly the USB 2.0 connection turned out to be the faster of the two moving data at about 25-30MBps opposed to 18-20MBps over my network. Adding folders and directories is done through the share management page on the web portal. This is also where you can change the default password for the guest account or add additional accounts. One of the great features of the Akitio Cloud Hybrid is it's ability to be used as a media server whether it be streaming videos across your own network, via the web or through one of the smartphone applications. There is even a client to act as an iTunes server, or you you'd like you can use it as a Torrent client with its own BitTorrent client. I uploaded several videos and music files for testing, however I didn't get to test the iPhone or Android apps nor did I test the iTunes client (sorry guys I hate iTunes). Streaming across my network was almost seamless, I saw no interruptions at all. Where I was really surprised was the quality of streaming across the internet. I was able to connect a few different devices at one time and still stream to each without any hiccups. 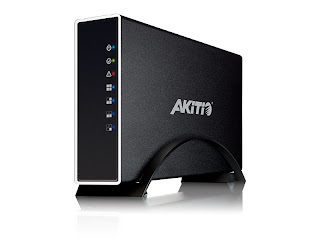 The Akitio Cloud Hybrid retails for approximately $99.99 on a variety of websites including Amazon. I run a pretty solid network setup and share all my devices among my connected PCs so streaming content and sharing files from each isn't a novelty for me. I already own the Linksys E4200V.2 which allows me to connect my external drive so that too is nothing new. What I really liked was the cloud capabilities of the Akitio Cloud Hybrid. Having the ability to connect to my drive from any internet device at anytime was cool. I know there are services out there that allow you to do this and some routers are now adding in the same functions, but having an always on NAS storage device was really nice. I also like the fact that if I had an Android device or an iPhone I could turn my Akitio Cloud Hybrid into a large media server without having to load all my music or videos onto my phone or tablet. Add to that the fact that I could setup a few different log-ins and create folders for a few different users and I could essentially turn my device into a file repository for friends and family to use as well. Now all that said, the unit I tested was not without its issues. I had it coupled with a 500GB Hitachi 7200PRM drive and noticed the enclosure got fairly warm. I also noticed that even when not in use the drive was always spinning. I don't know that that would be a major issue but in my opinion it could lead to early hard drive failure.For that reason I found myself turning it off when I wasn't testing it. The only other complaint I'd say I had was an overall lack of documentation included with the enclosure and on the interface on the web portal. The manual that came in the box is a four fold quick installation guide sheet that only had the basic installation information. For detailed information about settings or usage you have to go to the online e-manual or the Akitio FAQs.